Apart from the trauma of the event, it will mean a significant loss for well-known livestock consultant and cattle and sheep breeder Neil Caul, who lives at Balkello, near Dundee. The lambs were the result of embryo transfer and were the last in a genetic line. The attack left seven of the lambs requiring antibiotics, three needing stitches and one has been given a poor prognosis from the vet. One of the lamb’s injuries were so bad that it had to be put down. Mr Caul’s land lies on the slopes of the Sidlaw Hills and is adjacent to Balkello Community Woodland, which is a popular area for dog walkers. The mauled sheep were discovered on the morning of Sunday, October 28. Mr Caul said: “The attack on these lambs was horrific and distressing to all concerned and those irresponsible dog owners should be held accountable. “The owners should at least have had the decency to come forward and let me know of the incident. “Their dogs would have been covered in blood, they know they did it and other people know they did it. 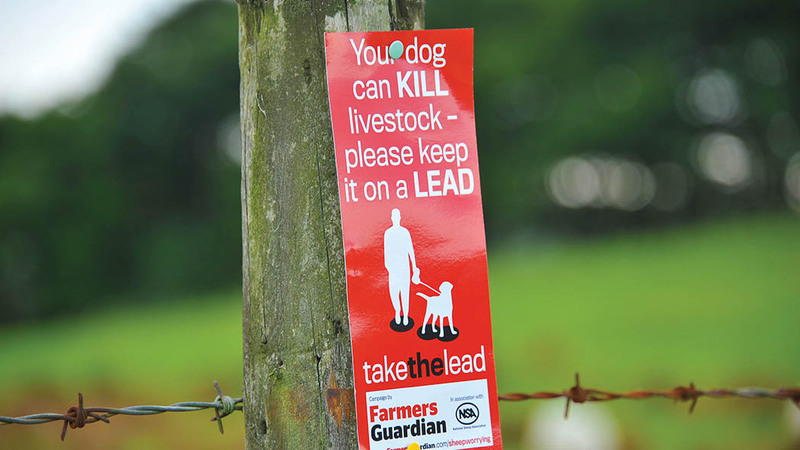 NFU Scotland (NFUS) has recently called for local authorities to increase the number of Dog Control Notices (DCNs) issued for livestock worrying incidences. A recent Freedom of Information request to all 32 local authorities in Scotland revealed that 21 had issued zero DCNs for livestock worrying over a six month period , seven had issued one DCN, two had issued two, Perth and Kinross had issued three, and Argyll & Bute had issued 12. NFUS is backing Emma Harper MSP’s proposal of a Members Bill to tackle the high number of livestock attacks which occur throughout the Scottish countryside.